General Motors broke ground Monday (March 3) on a $600 million environmentally friendly paint shop in Flint, MI, bringing to $1.2 billion the automaker’s paint plant investment in the last year. GM announced in December that it would spend $600 million upgrading the Flint Assembly Plant in Michigan, including building a new 596,000-square-foot paint shop. In January 2013, GM announced plans to invest $600 miilion in the Fairfax Assembly and Stamping Plant in Kansas City, KS. GM broke ground on the new $600 million Flint paint shop Monday, the second-largest paint shop investment the auto maker has announced in the last year. Construction is expected to wrap up in 2016, with the first units scheduled to be painted in October 2016. GM says it has invested a total of $958 million in Flint Assembly since 2009. "You will see a lot of focus on the environment and energy," Tom Quinn, GM's director of major projects, told Flint Mayor Dayne Qalling and other city officials during a construction meeting in February. 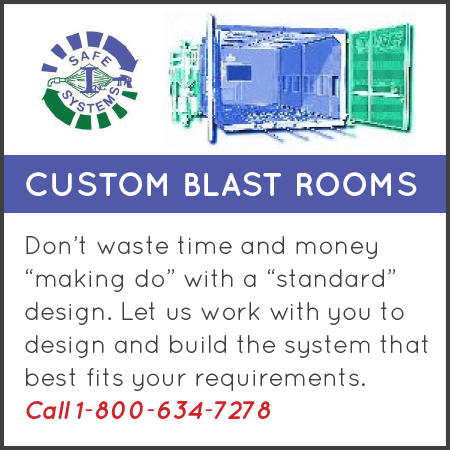 Be Energy Star rated (contingent on meeting all requirements). 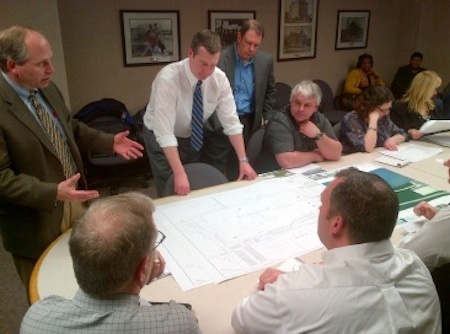 "You will see a lot of focus on the environment and energy," Tom Quinn, GM's director of major projects, told Flint Mayor Dayne Qalling (center, white shirt) at a construction meeting. Quinn said that paint shops usually use 70 percent of a site's energy, and the new Flint shop will use the latest technology to reduce energy use. The Flint plant produces the heavy-duty Chevrolet and GMC Sierra Crew and regular cab trucks, and is capable of producing light-duty Chevrolet Silverado Crew and regular cab trucks. The paint shop is being constructed on GM's former V8 engine plant site, which was closed in 1999. In February, a survey crew used drilling machinery to conduct a geological soil study for the new paint shop, GM said. The study required soil core samples about 50 feet below the surface level in 10 locations. It will take about seven months to erect the 10,000 tons of steel needed for the plant; the construction is slated to start in the spring. At the peak of construction, GM expects about 280 people to work around 270,000 hours. 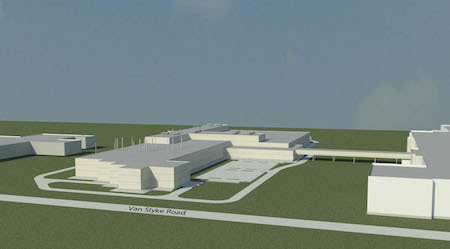 GM broke ground on the Fairfax plant in March 2013, and said construction would take place in five phases over two years. 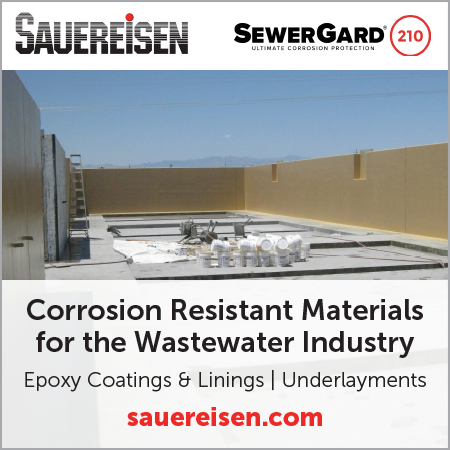 The Flint plant, the Fairfax plant, and a third plant in Lake Orion, MI, will all use an environmentally friendly wet-coat paint process, according to GM. The Fairfax investment includes constructing a new 450,000-square-foot bi-level paint shop, installing a new stamping press, and other upgrades. GM has invested nearly $2 billion in the Fairfax plant over the last decade, and this investment represents a large chunk of the $1.5 billion GM previously announced it would put into its North American facilities in 2013. 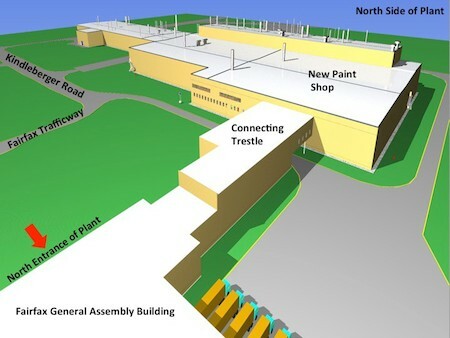 The new Fairfax paint shop will occupy a new building and feature "substantial upgrades" in technology, including new tooling, robots and state-of-the-art environmental and efficiency enhancements, GM said. "When complete, our plant will be able to continue to paint cars with a flawless finish while using a lot less energy and resources," said William Kulhanek, plant manager. During World War II, the Fairfax plant was the first industrial facility to make automobiles and jet fighters in the same building, according to GM. The plant dates to 1945, and the current building opened in 1987. The Fairfax plant currently builds the Buick LaCrosse and Chevrolet Malibu.